PDM University organized a Mega Blood Donation Camp on 14th November, 2018 at Gymnasium area, PDMU Campus from 10:00 a.m. onwards under the umbrella of Lions Blood Bank and HDFC Bank. The juncture was witnessed by the venerable presence of Prof. (Dr.) A.K. Bakhshi, Hon’ble Vice Chancellor, PDM University, Prof. R. C. Bhattacharjee, Hon’ble Pro Vice-Chancellor, PDM University, Lion Virender Hans, District Governor, Lions Club International, Lion Omkar Singh Renu, Cabinet Secretary, Lions Club, Lion Mr Deepak Tuteja, Past District Governor, Lion Mr. Gobind Malik, President, Lion’s Club, Bahadurgarh Town, Lion Mr. Gulshan Sharma, Secretary, Lion’s Club, Bahadurgarh Town, Lion Mr. R. K. Shah, Lion’s Club, Bahadurgarh Town, Mr. Bharat Bhushan Goyal, Area Operation Manager, HDFC Bank along with Dr. K. L. Kathuria, Medical Superintendent, PDM General Hospital, Prof. (Dr.) Hema Chaudhary, Dean, Students Welfare, PDMU and Dean, Faculty of Pharmaceutical Sciences on the dias. 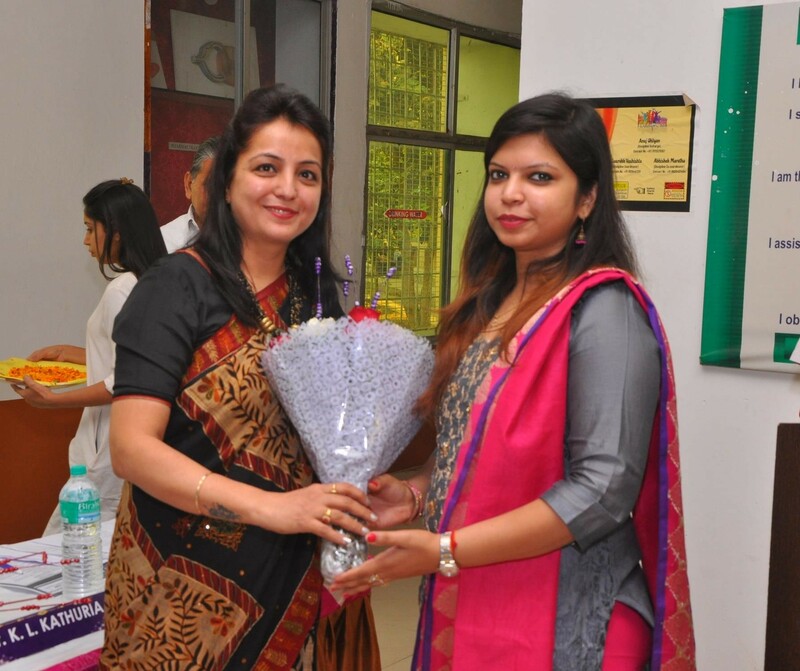 The event was also poised by Ms. Barkha Gupta, Deputy Manager, HDFC Bank, Respected Deans of various Faculties of PDMU, staff members and students.  DSW, PDMU presented a warm gesture and commenced the event by welcoming the esteemed guests and all Hon’ble dignitaries. She then invited Shweta, Ruchika and Sukriti to chant a small hymn for the successs of the noble cause. The guests were then greeted with a nosegay by Hon’ble Vice chancellor while DSW, PDMU presented the floral greetings to dignitaries. Prof. (Dr.) R.C. Bhattacharjee, Hon’ble Pro Vice-Chancellor, PDMU started his talk by appreciating the initiative taken to save the lives and stated that it is the best effort one can do in his life time. 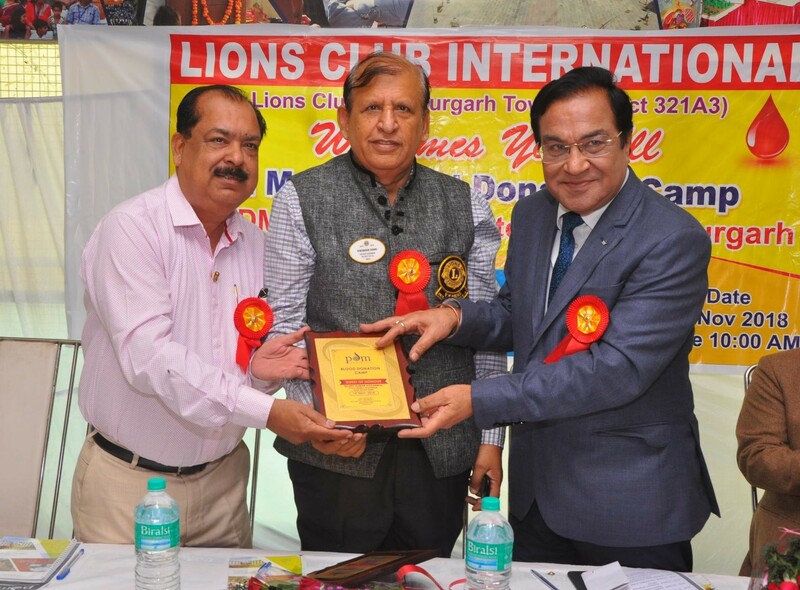 Sir welcomed members of Lions club and all the dignitaries on the dias. He notified that in India, we have 1.3 billlion people, out of which more than 50 crore people are eligible donors but despite that we have 10% shortage of total blood requirement which is believed to be due to the lack of awareness. Sir then mentioned the importance of blood donation and encouraged the students to donate blood. He also thanked Mr. Sube singh and DSW,PDMU for triaging such a mega camp. Lion Omkar Singh Renu and Lion Gobind Malik thanked Hon’ble Vice chancellor and whole PDM University for conducting the event. Lion Deepak Tuteja admired the contribution of students at the blood donation camp organised in February,2018 at PDMU Campus. Sir then thanked the representatives of HDFC Bank for sponsoring such a noble cause. He motivated the students to earn laurels to the college and also to contribute to this virtuous deed. Hon’ble Chief Guest Lion Virender Hans wished the audience A very Happy Children’s Day as well as Happy Dentists Day. Sir shared his views and said that humanity can be served best by donation of blood voluntarily to needy people. He also stressed that blood could save many lives. The DSW then requested Hon’ble Vice Chancellor and Hon’ble Pro Vice Chancellor to accept the cheque from the representatives of HDFC Bank. Prof. (Dr.) A.K. Bakhshi,Hon’ble Vice- Chancellor, PDMU apprised that the importance of blood can be understood by simply rationalising that a lot of people are alive today because somebody, somewhere must have donated blood for them. He highlighted that blood is precious and cannot be artificially prepared. Sir also mentioned that just by donating one unit of blood, 4 lives are donated. He said that Voluntary Blood Donation is an exercise and expression of love towards humanity and hence, sued everyone to make the event a grand success. 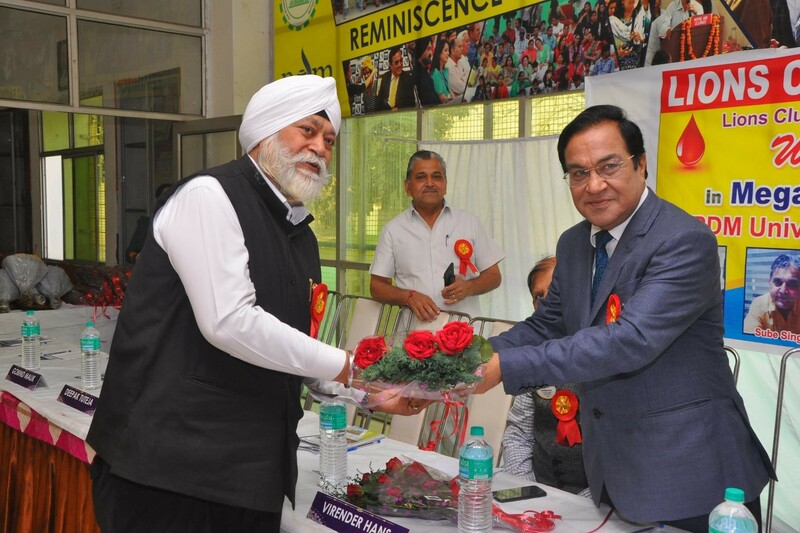 Hon’ble Vice Chancellor Prof (Dr.) A. K. Bakhshi PDMU presented mementos to all the special Invitees. The members of HDFC Bank then felicitated Hon’ble Vice Chancellor, Hon’ble Pro Vice – Chancellor, Mr. Sube Singh, Purchase Officer, PDMU and DSW with a floral greeting and memento as a token of gratitude. 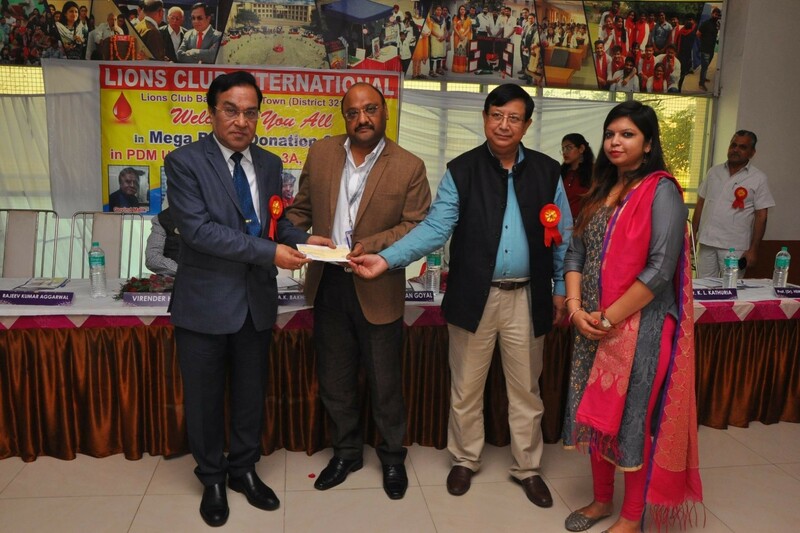 Lions Club also felicitated the Hon’ble dignitaries with a souvenir. The inaugural ceremony concluded with vote of thanks proposed by Dr. K.L. Kathuria. The gathering stood up to pay tribute to the nation by playing National Anthem. 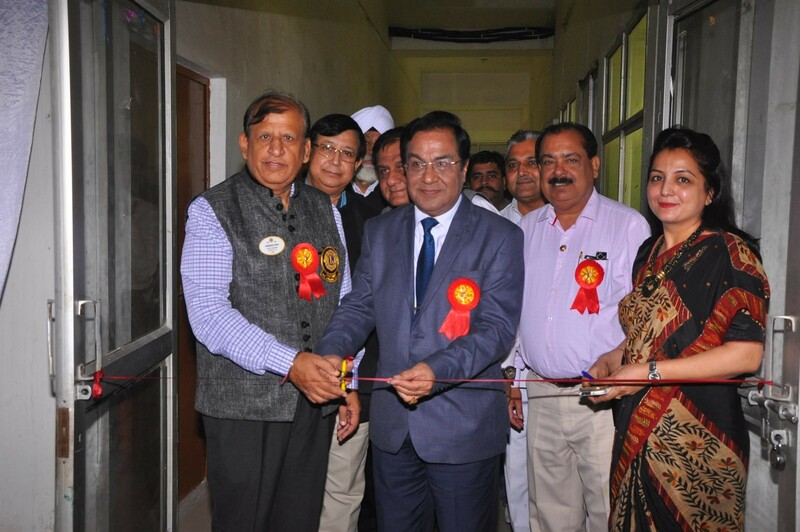 The camp was inaugurated with ribbon cutting ceremony by Prof (Dr.) A. K. Bakhshi, Hon’ble Vice Chancellor, PDMU along with other dignitaries. The camp began with lot of enthusiasm by all the students and staff. 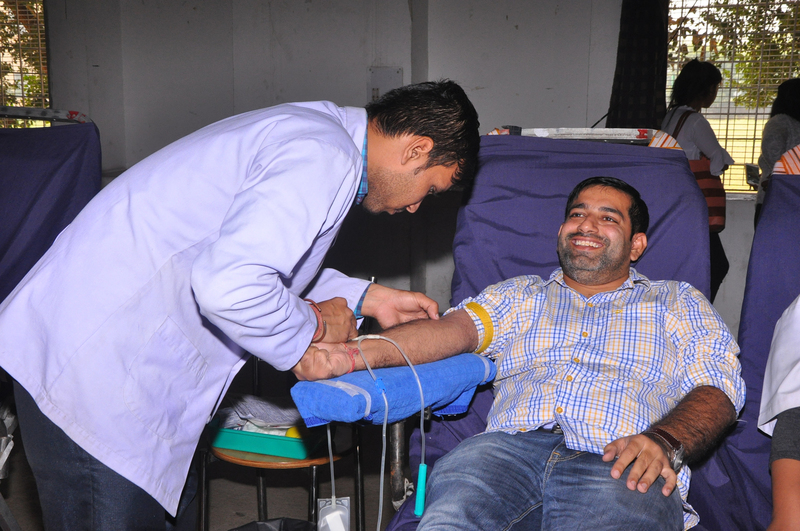 About 388 volunteers registered for blood donation, out of which around 250 candidates donated blood. Donors were given refreshments, sovereign Coffee Mugs and Certificate of Appreciation from PDMU, Lions Blood Bank as well as from HDFC Bank for this service to humanity.